Get 15% off everything at Cotswold Outdoor with this exclusive Voucher Code Discount. Cotswold Outdoor is a leading retailer in high quality outdoor equipment brands, including Helly Hansen, The North Face, Jack Wolfskin and Garmin. Cotswold Outdoor is offering an exclusive Military Discount of 15% to all serving members of the Armed Forces, ex-forces and immediate family members with this voucher code, both in-store and online! 1. 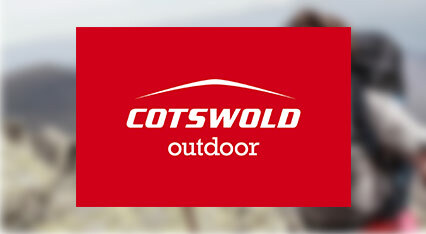 Click ´ Get Code´ to get the voucher code and open the Cotswold Outdoor website. 2. Make your order as normal. 3. On the basket page, enter the Armed Forces voucher code and click update. 4. The discount will be applied. Simply show your Armed Forces ID and quote the voucher code, when making your purchase at a Cotswold Outdoors near you. 1. Please provide your address details to the sales staff quoting the Voucher Code when ordering. What started as a small camping company selling basic camping equipment has grown into something much larger. Cotswold Outdoor is a leading seller of everything outdoors. With a selection of over 250 brands in outdoor clothing, products, and equipment they are able to provide anything you need for both the amateur outdoorsman and the expert survivalist. Each product is tested to ensure that it meets their high level of quality and value standards. A company with over 40 years in outdoor retail experience, their staff have a passion for everything outdoors including climbing, running, hiking, kayaking, and so much more. Their staff are expertly trained to make sure that the customer gets the best possible advice when choosing products for their outdoor adventures whether that is exploring the countryside or climbing a mountain. In addition to their top quality products they offer many services in their stores across the UK including; boot fitting, rucksack fitting, and kit talks. Cotswold Outdoors is committed to serving the outdoor community to see it thrive. They are the proud supporters of many outdoor organisations and sponsor many events, race teams, and expeditions locally and nationally. Cotswold Outdoors provides top quality products with cutting edge technology, and expert service to meet the needs of every adventurer. Save by using this armed forces voucher code today! Courses supplied by Cotswold, Gift Vouchers, Carriage, Rock Bottom goods (both shown online and carried in-store), sale items previously discounted goods (N D coded items), DVDs and specially ordered goods. (These items will be correctly priced at point of sale). In addition, this offer cannot be used in conjunction with any other Cotswold offer, discount or any online affiliation programmes.